Lucy Maud Montgomery’s Anne of Green Gables is the first in a series of nine novels following the enchanting Anne Shirley through her life. Anne has inspired generations of little girls across the country and throughout the world, myself included, to be whimsical dreamers who look at the world through technicolour glasses and approach even the most dire of situations with unbounded enthusiasm and positivity. Anne arrives as an unexpected orphan to the home of brother and sister Matthew and Marilla Cuthbert in Avonlea, Prince Edward Island. The misadventures and follies that follow are those that only a young girl with a flowery imagination, flair for the dramatic and magnet for mischief can get herself into. Their gift of a safe, stable home and opportunity to be a carefree child allow Matthew and Marilla to instill the old fashioned Canadian values (you know, before Kellie Leitch got a hold of them) that turn Anne into not only a respected daughter of their family but of their entire community. Reading the melodic prose of a young girl brimming with energy and the rich descriptions of maritime landscapes transports me back to being the young girl who first read Anne of Green Gables swaying in her grandparent’s hammock on a carefree summer afternoon. While most of my reading is now done on a train racing into the city to a very serious, very grown up job, a few minutes with Anne and I am in a world where even the smallest puddle could be a Lake of Shining Waters and a White Way of Delight awaits ‘round every bend in the road. The Kindle Paperwhite has been a life saver for commuting. 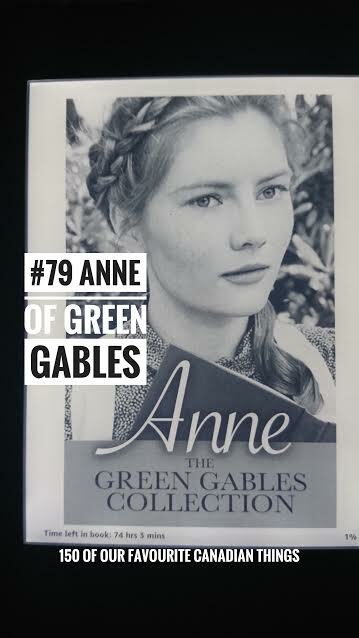 Allowing me to take the entire Anne collection (99¢ on Kindle Shop!) on the train without lugging around all 9 books in my purse. To win a $150 Amazon.ca gift card, enough for a Kindle Paperwhite of your own, be sure to enter our contest here.